The rooster rules the roost at The Roost Bar, a veritable aviary perched in an airy, open room overlooking the lush Courtyard. 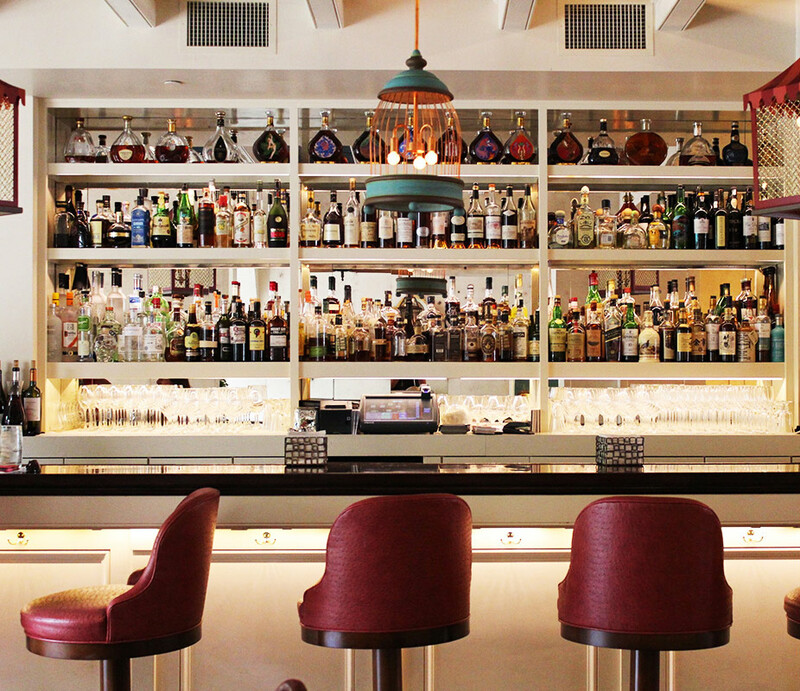 Treat yourself to traditional New Orleans cocktails modernized, courtesy of world-renowned bar chef Lu Brow. Of course, there's always reason to celebrate by popping bubbly bottles and sipping fizzy Champagne cocktails at any hour of the day. Join us for delicious cocktails, Champagne, and bar snacks! 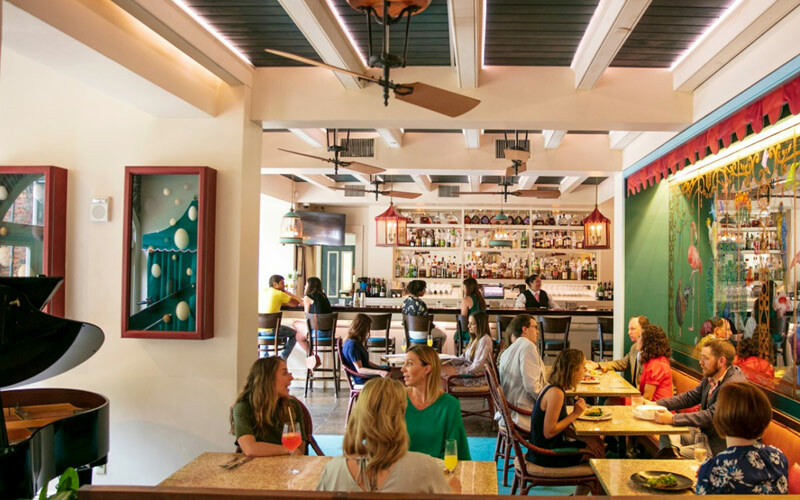 You can find the Roost Bar + Courtyard inside Brennan's restaurant. 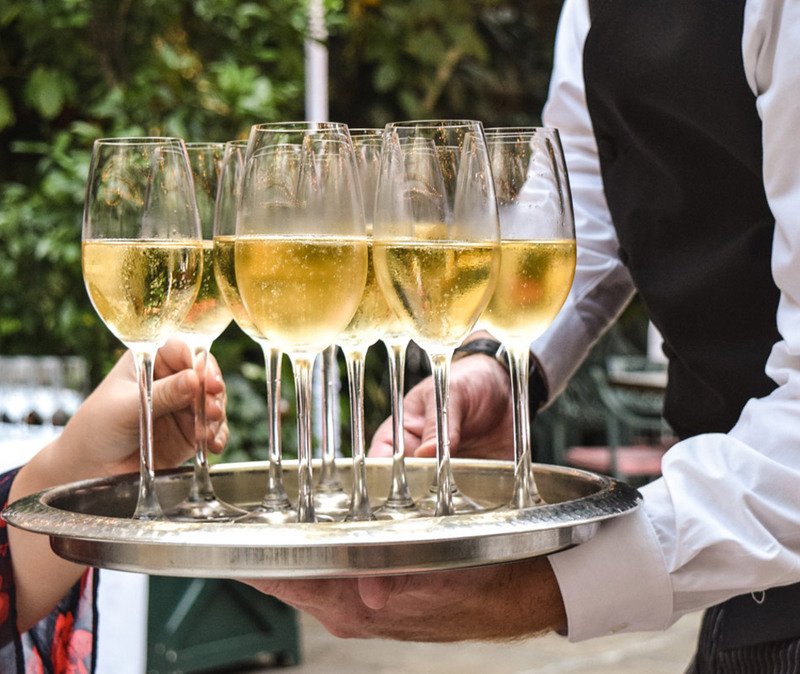 We will be pouring delicious select bubbles from both top Champagne vintners and premiere sparkling wine houses at the fizziest hours of the day. PLUS... Courtyard Champagne Sabering, every Friday at 5 pm! 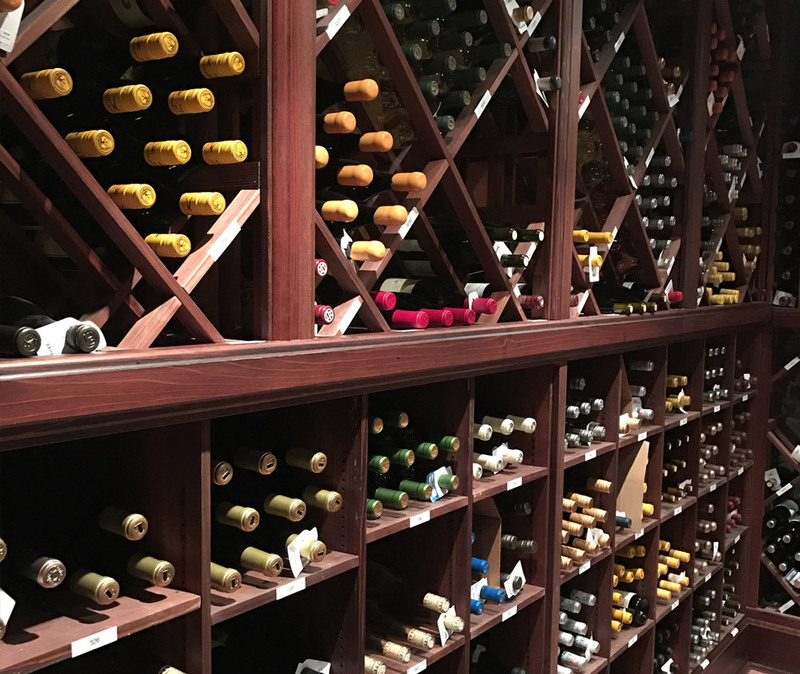 With nearly 1400 selections, the wine program at Brennan's is built to compliment the rich, Creole cuisine of poached eggs and succulent sauces. The two-story cellar houses 15,000 bottles, with nearly the entire second floor devoted solely to Burgundian wines. As the self-proclaimed "Champagne House of the South," Brennan's cellar keeps nearly 100 selections of Champagne and sparkling wines. Cheers! 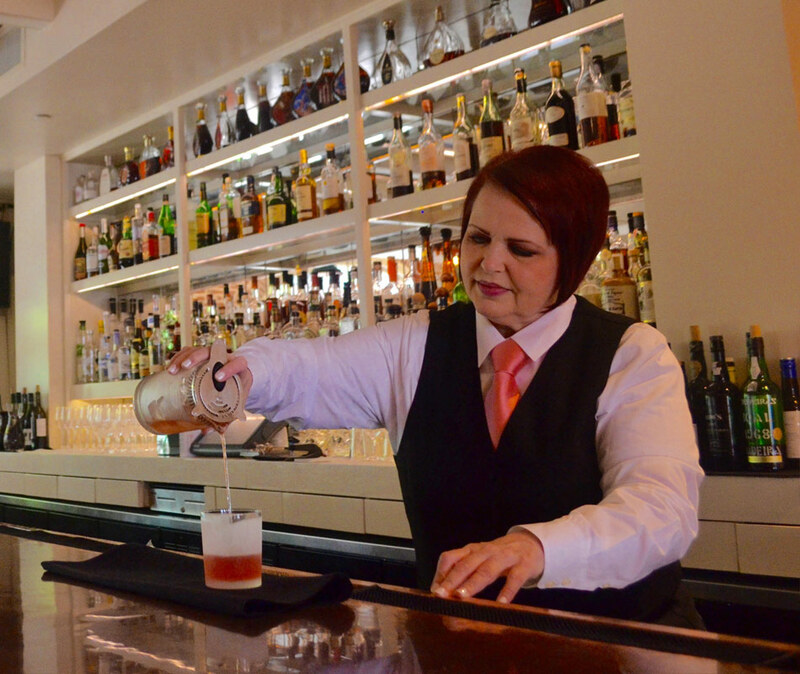 Lu's cocktail program mixes all of the finest parts of New Orleans together - the rich history and classic timelessness with fresh, local flavors from cultural influences from around the globe. As a world-renown bar chef, Lu has nearly 15 years tenured with the Brennan family and it shows. Her warm hospitality and creative passion for spirits shine through in every glass she designs. Wine Director Braithe Tidwell fell in love with New Orleans on her honeymoon -- so much so that she and her husband vacationed there annually before giving in and making it their home. She has found her ultimate professional residence at Brennan's, joining the proprietors in their dedication to rebuilding the restaurant's legendary cellar by expanding the depth of its vintages. A great advocate of wine education, she conducts twice-weekly classes for her staff, which includes a growing number of certified sommeliers. Tidwell cut her teeth in the French Quarter opening Salon by Sucré, serving as Wine & Beverage Director. Originally from southern California [by way of Pennsylvania,] she began her study of wine as a back server at New York's Union Square Café, where the strong culture of staff education drove her to acquire as much knowledge as possible about the impressive list of Bordeaux, Burgundies, and California wines, with an emphasis on learning the vintages. 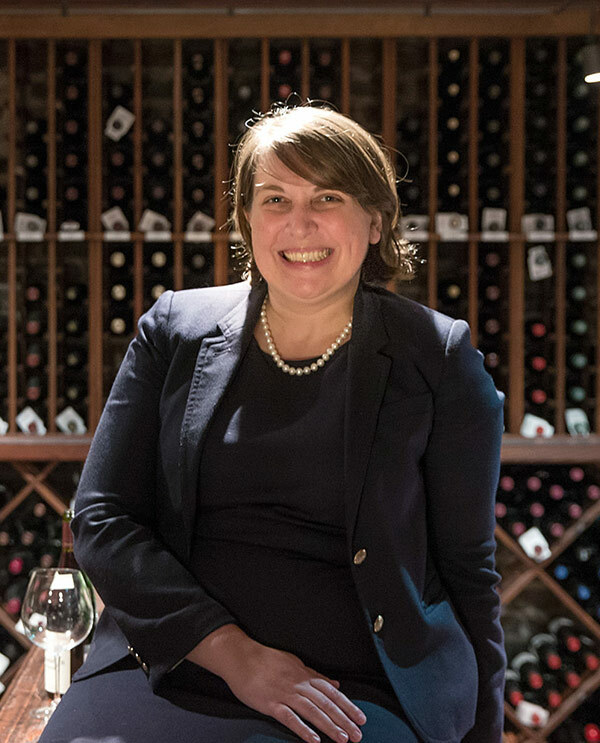 Tidwell achieved certification from the Court of Master Sommeliers, and the mentors with whom she studied inspired her to teach: she eventually worked her way up to become the Wine Director of Union Square Café, before moving on to the Brooklyn Wine Exchange, where as GM, she created its robust wine education program. She holds a BA in Acting from New York University, about which she says, paradoxically, "I've never actually used it, although you could say I use it every day in the grand theatre that is fine dining!"